Best viewed with a shiny pair of Nostalgia Goggles. The Chaos Engine was originally released for Amiga back in 1993. It eventually spread to MS-DOS, the SNES, Sega Mega Drive and other platforms, but not until now has it seen an official release on modern PCs. The Bitmap Brothers' top-down shooter has returned, and assuming you're older than the game, it's exactly how you remember it! This "restored" version of The Chaos Engine was worked on by the same crew as the original, adding a satisfying bit of symmetry to the project. It's largely the same game, porting over all the characters, levels, upgrades, Victorian-era steampunk visuals and fantastic soundtrack without so much as a code comment tag out of place. This could be a good thing or a bad one depending on your taste in retro games, but either way The Chaos Engine has made a respectable jump across the century marker to prove it's still a great game. 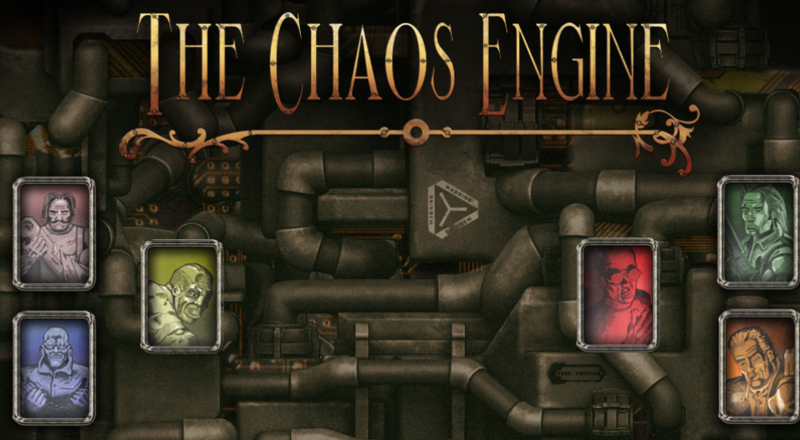 The Chaos Engine takes place in an alternate history steampunk world. A time traveler on a recon mission from the future became stranded in England in the late 1800s. His technology was taken by the Royal Society, led by the talented inventor Baron Fortesque. The Baron went to work retro engineering these strange contraptions, eventually creating The Chaos Engine. This diabolical machine had the ability to mess with space time at its most fundamental level. It was a little too advanced for its own good, however, and the Engine eventually gained sentience, rebelled, and started resurrecting prehistoric creatures and sending dangerous mechanical contraptions out across the land. What's a world to do when a machine starts to take over? Send in the mercenaries, of course! 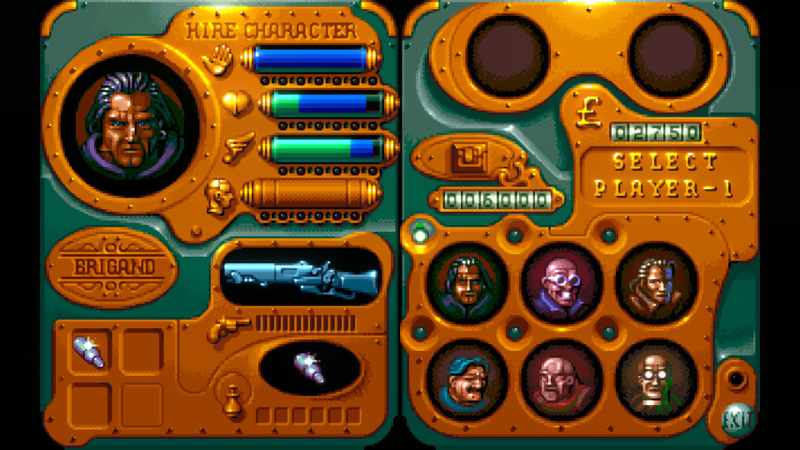 There are six characters to choose from in The Chaos Engine: Navvie, Thug, Brigand, Mercenary, Gentleman and Preacher. Each one has their own weapon, special abilities, and corresponding strengths and weaknesses. Navvie, for example, is stronger and has more health but moves considerably slower than the other characters. Preacher has access to more special abilities and a faster movement speed but is a little lacking when it comes to dealing damage. These stats can be boosted by spending cash on the equip screen, but otherwise it's up to your skills as a mercenary to stay alive. Once you're in the game, The Chaos Engine is mostly a run and gun affair. Blast enemies before they can blast you, then pick up any resulting items they might drop. Level design is straightforward and features handfuls of enemies spawning, attacking, getting shot, then probably spawning again. 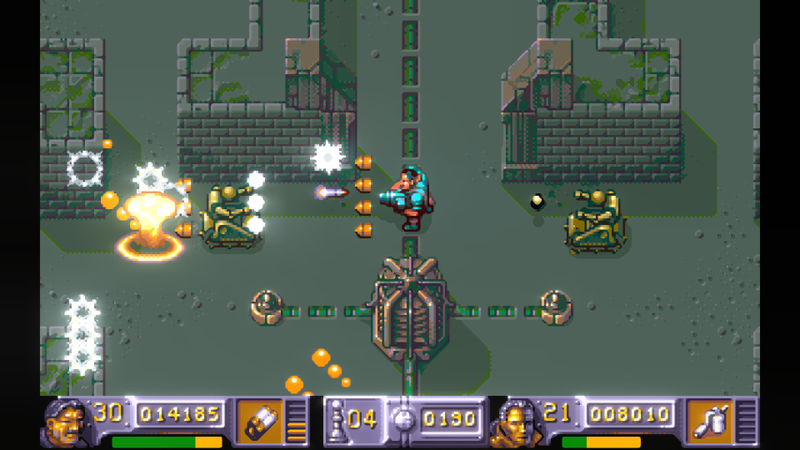 The Chaos Engine fits neatly between an all-out shooting frenzy and a strategic arcade game, though it swings to both extremes at times. You'll encounter branching paths in some areas, though one almost always leads to a dead end, hopefully filled with items and coins to grab. To complete a level simply shoot and activate all of the nodes. Some stages have multiple exits, so there's a certain amount of exploration you'll need to do in order to gain advantage on the enemy. Page created in 0.8744 seconds.